Good morning! Here are some of the top technology startup news stories for today, Wednesday, March 20. 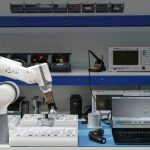 UK robotics startup Automata raises $7.4 million in Series A funding. 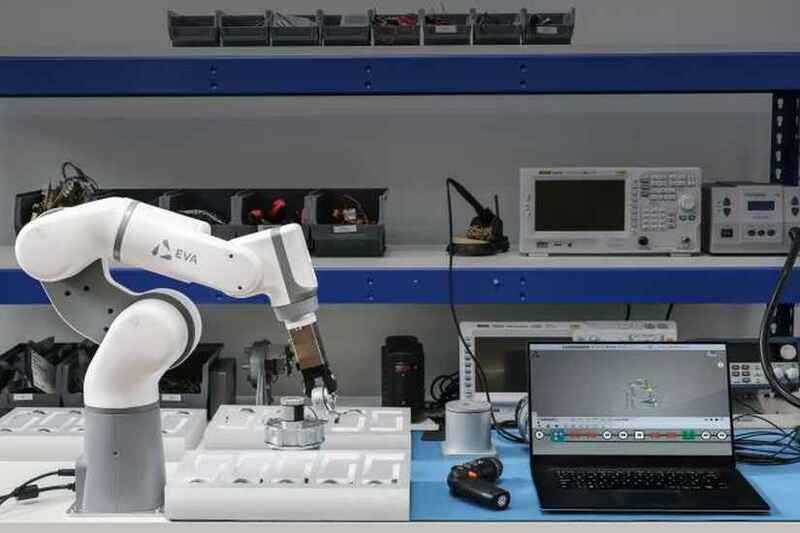 Automata, a London, UK-based robotics company, raised $7.4m in Series A funding to continue the expansion of their team of 42, as well as supporting the increased production of Eva. The round was led by Hummingbird Ventures, with participation from firstminute Capital, Hardware Club and previous investors LocalGlobe, ABB, and Entrepreneur First. Founded in 2015 by trained architects Mostafa ElSayed and Suryansh Chandra, Automata provides Eva, a desktop robot for industrial use, now available to order from the website for £4,990. Automata’s robot Eva was not designed to replace human workers. The machines can automate menial tasks such as heavy lifting and making sure cans have the correct lids. Insta360, China’s GoPro rival, plans IPO in 2020 after raising fresh round of funding. Camera startup Insta360 has raised $30 million and is planning for public IPO in China next year. According to Insta360 CEO JK Liu, the new fund will be used for new hardware and artificial intelligence-powered software open its own stores. Founded in 2014, Insta360 develops 360-degree cameras that empowers people to freely share experiences in full, immersive manner. Starbucks launches a new $100 venture fund targeting retail and food tech startups. As we just reported, Coffee giant Starbucks is making a big bet on food and retail technology startups with a new $100 million venture fund called Valor Siren Ventures Fund. The fund will be managed by Valor Equity Partners and serve as a growth driver for the next generation of companies developing new technologies and products for the food and retail industry. The fund will also focus on new ideas and technologies that are relevant to customers, inspiring to partners (employees), and meaningful to the Starbucks business. Israeli Copia Agro and Food Technologies Fund Raises $27 million. Herzliya, Israel-based impact fund Copia Agro and Food Technologies Fund, an impact fund that invests in sustainable technologies, has raised USD 27m from institutional investors, family offices, private investors and corporates in Israel, Europe, Asia, USA and Africa. Led by Eyal Cohen, Managing Partner, Copia Agro & Food is an impact fund investing in proven technologies addressing key global challenges related to food and agriculture. German AI Startup IPlytics raises several millions in financing to disrupt patent analytics. Berlin-based IPlytics, the company disrupting patent analytics with an artificial intelligence (AI)-powered patent analytics software, receives several million Euros in venture capital as part of a financing round led by German VC investor eCAPITAL, with High-Tech Gründerfonds (HTGF) joining the round as existing shareholder. The capital will be used for the further technical development of the software as well as the expansion of sales into international markets, in particular USA, Korea and Japan. Nintendo and Sony took a hit as Google unveils its new game streaming platform. The shares of Nintendo and Sony tumbled yesterday following Google’s unveiling of its game streaming platform that lets users play high-end games without consoles such as Nintendo’s Switch or Sony’s PlayStation. The shares of Nintendo and Sony may drop further since Google’s Stadia is a cloud-based and not reliant on hardware, gamers may not need to shell out hundreds of dollars for consoles for much longer. “The future of gaming is not a box,” Google said on Stadia’s website.